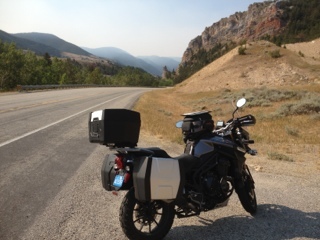 We left Bozeman and took the interstates 90 and 15 up to Wolf Creek, not expecting much more than a fast, expedient road. But we were pleasantly surprised! 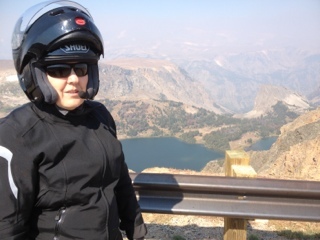 The scenery was out of a Bateman or Doolittle painting and the 75 mph roads curved and climbed through the foothills and mountains, but with little traffic and many passing opportunities. 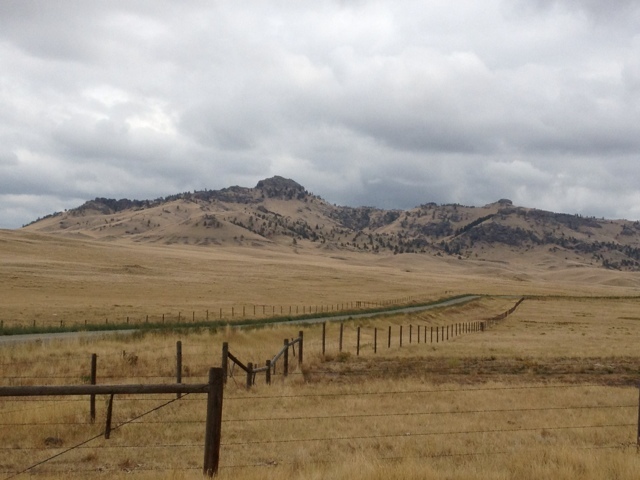 The 287/89 north was through more remote countryside, primarily used for ranching and much was Blackfoot Territory. 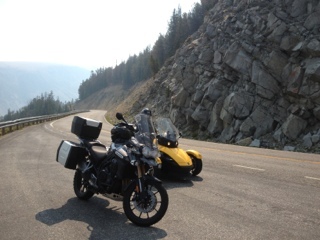 The 89 became very twisty and narrow, really fun for Erik, and I was glad to have gained riding experience to be able to enjoy this road with the more cumbersome Spyder. 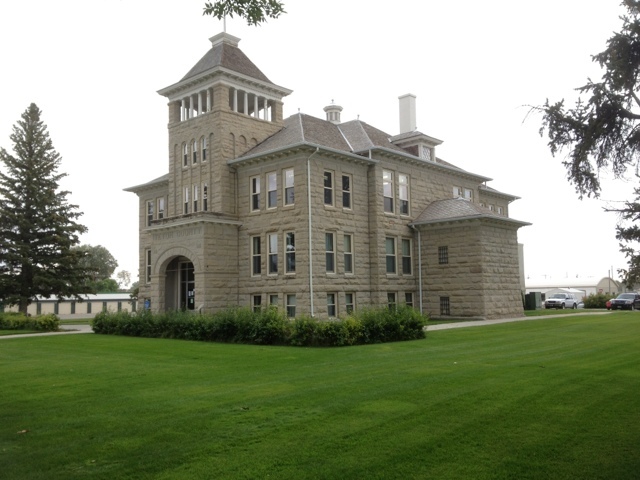 We were planning to stay the night in or around Glacier National Park as it is a beautiful spot to take our last vacation night but the prices of accommodation were inflated. 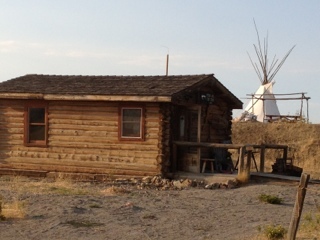 For example a shared-bathroom cabin cost $265 before tax. 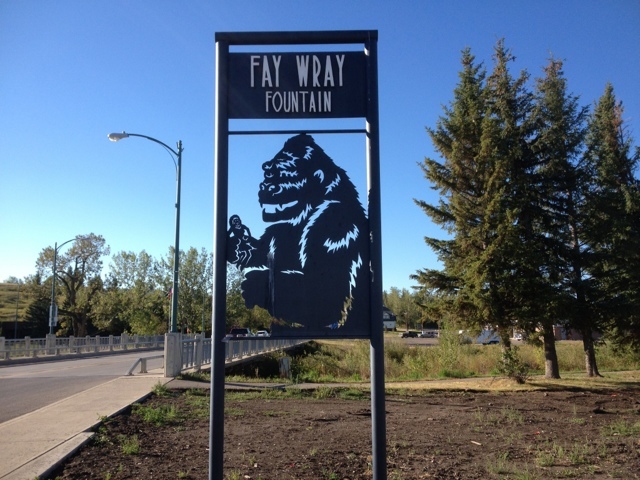 So we continued across the border and into Cardston, the home of Fay Wray, the original love interest of King Kong. Perhaps no less romantic a setting than the lake at Glacier? It is all a matter of perspective. 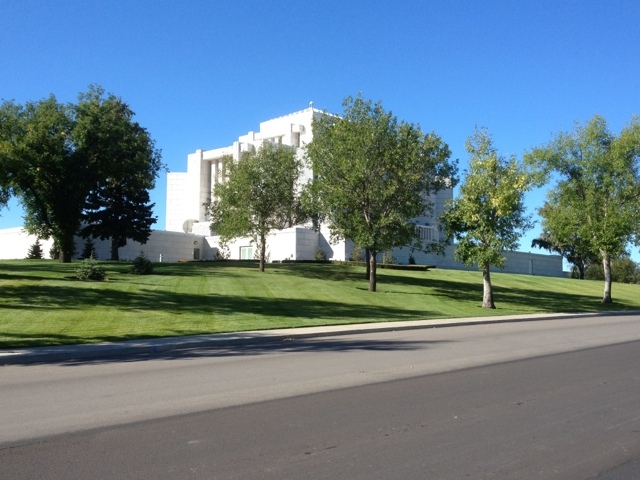 We drove by the Morman Temple, a legacy to one of last wagon trips of the West in 1887 and the town's founder Charles Ora Card. Although this town is almost in our back yard, we have not ridden the # 5 or 6 highways to hook up with the Crowsnest pass. 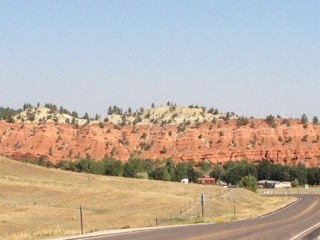 These roads are in good condition and present stunning pastoral countryside. Quite a number of bikes were out despite the possible crosswinds that can sometimes attack the Pincher Creek and Lethbridge corridors. Guess that is why there are hundreds of windmills generating power there now? 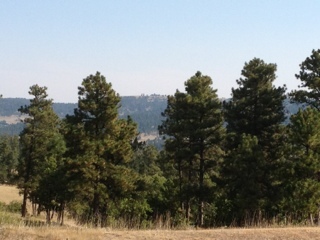 Beautiful, with the western Rockies on our left most of the trip. 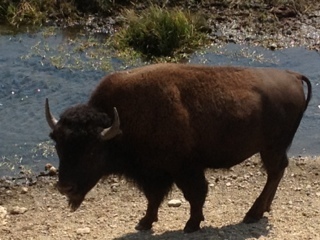 Gotta love Alberta; the scenery and roads compared favorably to any other locations we travelled in Canada! We were glad we finished up with these roads and then the 22 through Longview. We should have hopped over to Bragg Creek and come in through the West, but we took the city route and spent our last hour in nasty traffic. Oops. Arrived home mid afternoon. 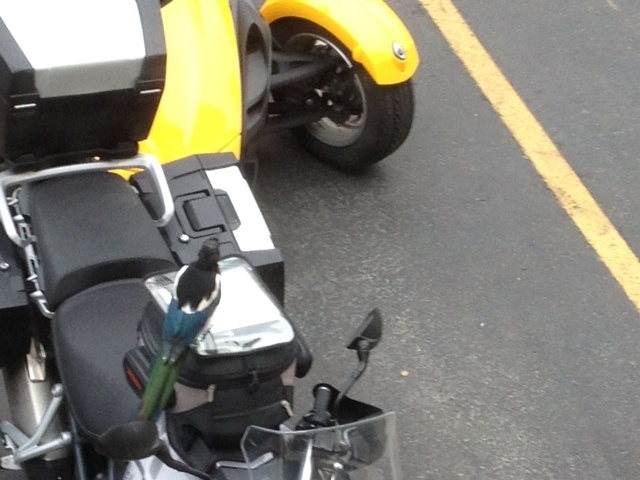 I think the parrots were happy to see us although Kyle took extremely good care of them and of our place. After we dumped all our gear out of the bikes and sat down in the evening to let the critters out to watch some TV with us (our usual time to handle and pay attention to the birds) Erik looked at me and asked, "Did we really even go?" 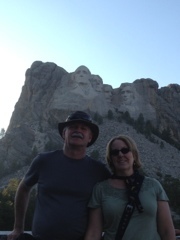 Our trip of a lifetime was fabulous with no mishaps, no serious mechanical issues and we still like one another. How much better can life be? 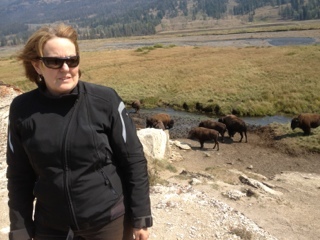 We asked one another that question several times a day on this adventure. What a ride! I might make another entry to summarize the bests, the worsts, and the lessons. 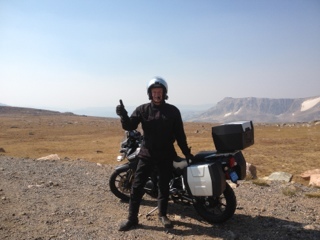 Erik will also post his final evaluation of the performance of the Triumph Tiger 1200. 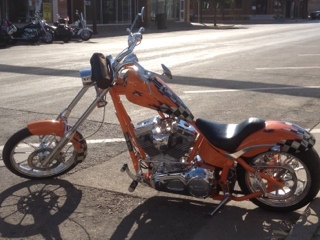 A short preview of that evaluation is the word he used with any question of the bike's performance: FLAWLESS! Other than that it is time to sign off and say "Good night Young Jim." 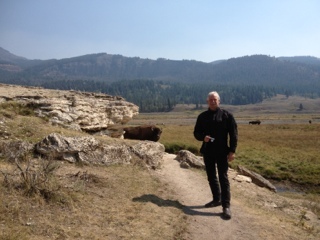 Travelled 3 states today: South Dakota, Wyoming and Montana. 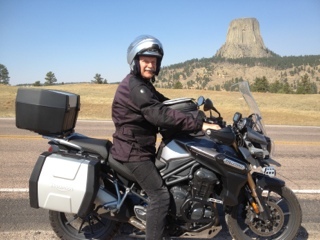 Started out on highway 14 to Devil's Tower to #112. 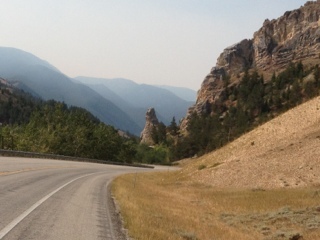 Both lovely roads with interesting scenery and curves. Good pavement and fast roads with hardly any traffic. 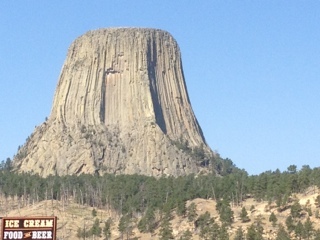 Devil's Tower was America's first national monument and is as impressive as it was in the movie Close Encounters of the Third Kind. Did not see any aliens but we kept a lookout for them. 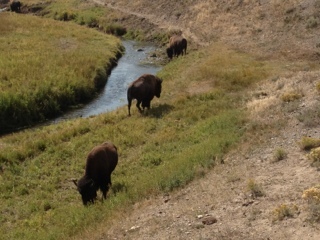 We did see a variety of wildlife today: coyote, wolf (we think), deer, antelope, sharp tailed grouse, bald eagle and buffalo. We had a close encounter with the deer. It leaped out directly in Erik's path and it was good he was alert. 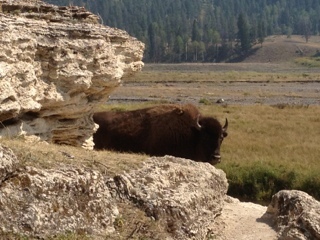 Then it hopped the fence. So agile and beautiful. Later a bald eagle flew low down by Erik's Triumph. What a thrill! 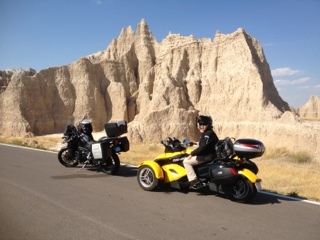 We took the #212 at Alzada to Little Bighorn with the speed limit of 70 mph. 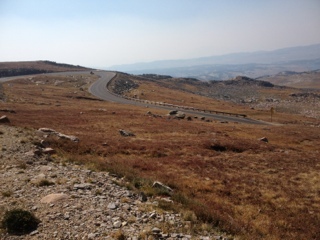 Straight road through dry flatland with sagebrush and cattle. Lots of rattlers out there I think. 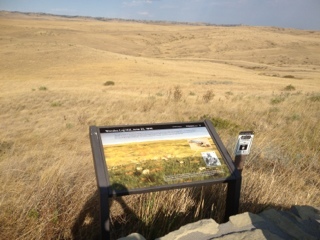 Erik found this a boring road but I thought it was quite beautiful as the prairie fascinates me. This stretch was so lonely and isolated. 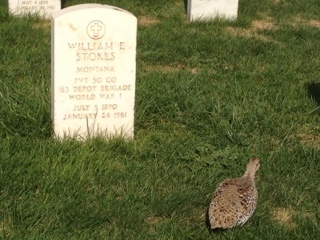 Life for homesteaders here must have been a challenge. 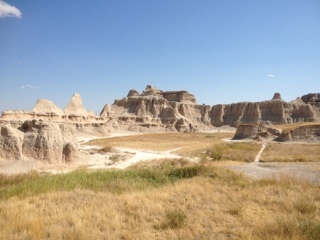 Miles of road go by without seeing any sign of human activity. Ate at a roadside diner (the only one in a hundred miles with a for sale sign on the door and a wasp trap hanging in the front door) and felt transported in time/space. The waitresses must have been in their 90's and the tables and chairs were mismatched furniture from the 50's. Some folks were in full camouflage complete with matching hats, some could have been the cast from Deliverance, and some were stereotyped cowboys. Food was questionable. 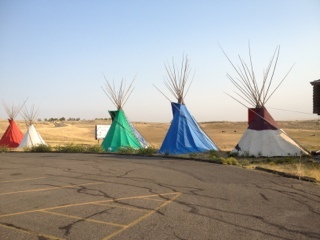 Little Bighorn, the site of Custer's last stand, was well planned and the interpretive centre was respectful to both the first nations and the 7th Calvary. 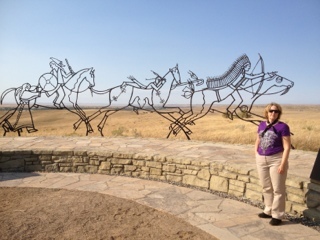 The paved road twists throughout the battlefield and is designed to show the timeline and strategy of the two days in the Spring of 1876. 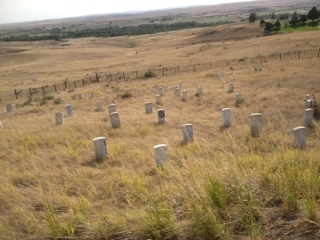 Markers show where the participants fell, and this truly illustrates the intensity of the battle. 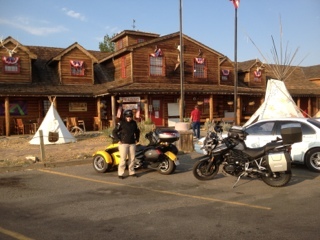 We had the best fry bread and cherry pie, ever, at the trading post just before the turnoff . 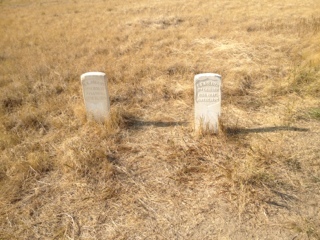 Then the brutal wind came and it was a battle to hold the road and get our carcasses to Billings. Not quite as hot today with a high of 29. 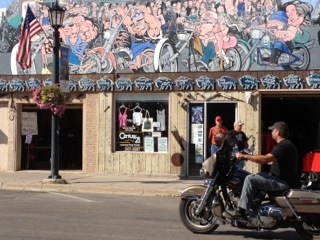 Spent two days in South Dakota and this is a state that loves bikers. 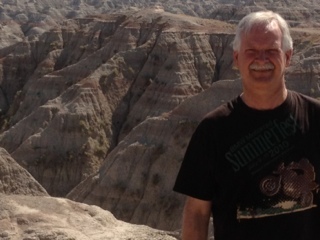 Left Sioux Falls early to avoid the heat. 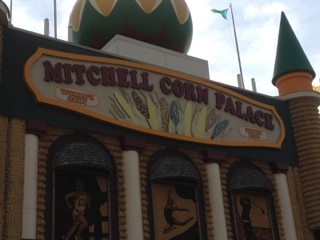 Stopped in Mitchell to see the Corn Palace. We really had no intention of seeing it but after 100 miles of billboards talking about how fantastic it was, we decided we could not miss it and it was actually better than we expected, and free. Then we hit super high winds that seemed to rage all day and Erik was consistently riding at a 45 degree angle and buffeted badly by the semis. 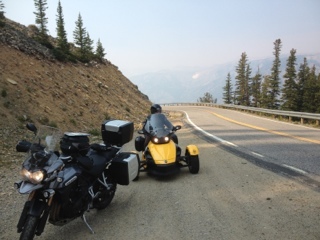 The Spyder was less affected and I know if I did not have 3 wheels I could not have ridden that day. Murdo had a cool car museum and 50's restaurant. 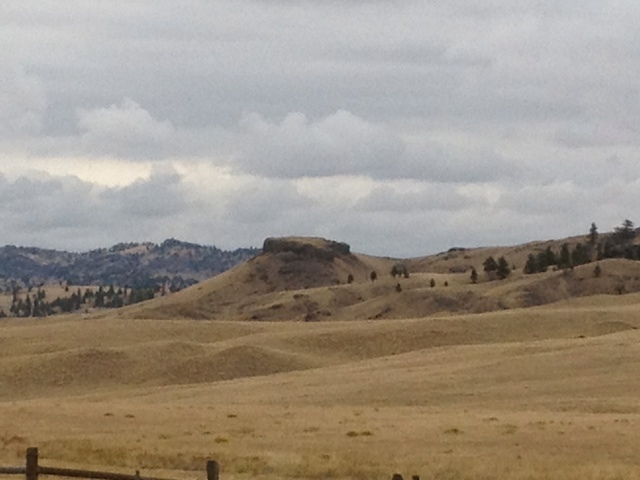 The countryside began to resemble Kamloops a bit with sere rolling hills and ranches. 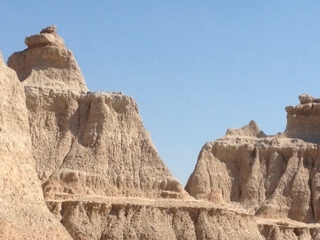 At 36 degrees we decided we couldn't miss the Badlands and this was the point we both seriously regretted we did not invest in a helmet cam. 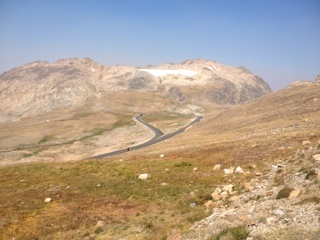 Breathtaking is the only word I can use to describe this park and these roads that were made for motorcycles. We are going back to ride it again someday. 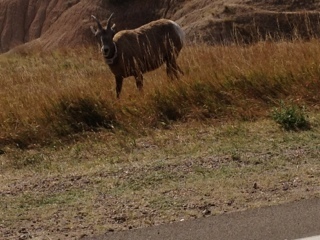 Erik caught a photo of a bighorn sheep on the roadside. The road ends up in Wall. This is where billboard psychology was invented. 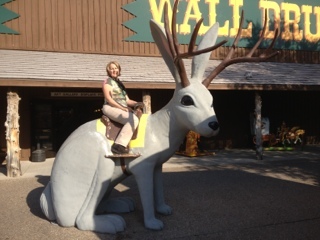 South Dakota featured 200 miles of Wall Drug billboards and we knew we HAD to visit Wall and get our free ice water and 5 cent coffee. But what a neat town. 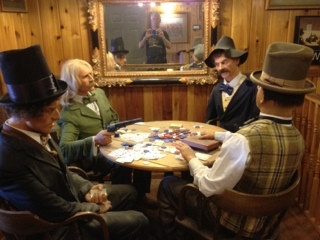 It also offers the history of the whole wild west as well as the tacky tourist trappings. Worth stopping. Billboards also advertised spots to feed prairie dogs, see kamodo dragons and other prehistoric reptiles, and how to find God. 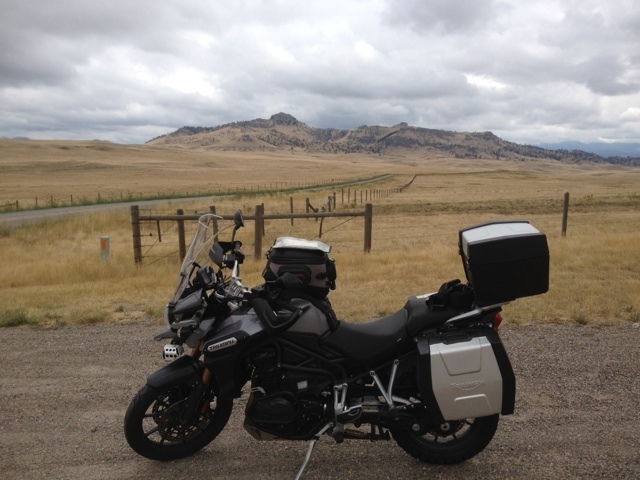 Made Rapid City our base and only took the Triumph to do the twisty, interesting roads that make Deadwood, Lead, and Sturgess primary destinations for any serious biker. 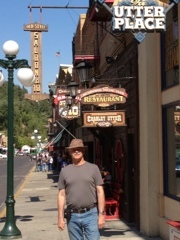 Deadwood is the old west town where Wild Bill Hickock was gunned down in Saloon ten where he was playing his "deadman's hand". 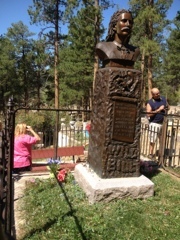 Saw his burial place, next to Calamity Jane. Mom would have loved this town with its 19 casinos each with its attractions to get customers through the door. One had old movie costumes, another the old style saloon, and Erik's favorite: hot dog, chips and beverage for $1.00. We donated a few dollars to the slot machines. 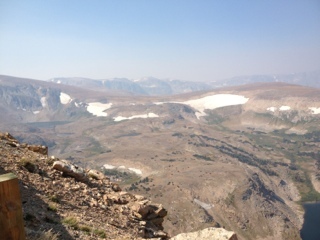 Lead is the old mine and surrounding town. Both these towns are built into steep hillside and their populations used to be 5 times what they currently are. They must have been teeming, bustling, chaotic towns in their time. 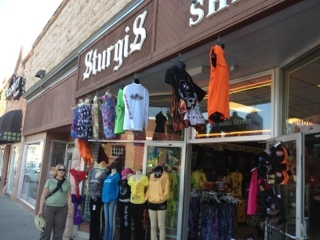 Sturgess was quiet with most of the services closed up on holiday Monday with the exception of the T-shirt shops. We bought our obligatory shirts to confirm that as bikers we have paid due homage to the shrine. 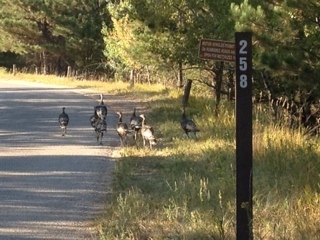 Saw another flock of wild turkeys on the way to Mount Rushmore and this time we managed a photo. Also saw several deer. 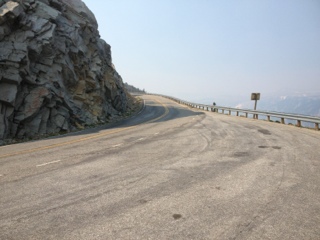 Amazing road for bikes. 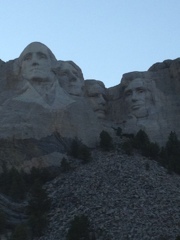 Mount Rushmore inspired awe: it was still not complete after 17 years when it's designer Gutzom Borglum died and his son finished this legacy. 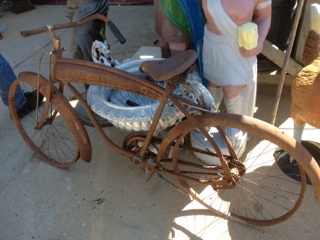 He dynamited, drilled and polished using crazy pulley systems and harnesses. Cudos to the crew that assisted him. 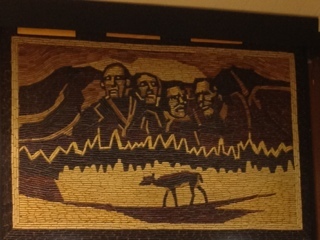 Definitely a tribute to the heroes of American democracy. Great day! Hello thank you for visiting our blog! We are looking forward to sharing our travel memories with you.